25 Days of Christmas – Day 16 – Happy Birthday Jesus! We took a page from the Happy Home Fairy tonight. Each year I love her Happy Birthday Jesus celebrations. 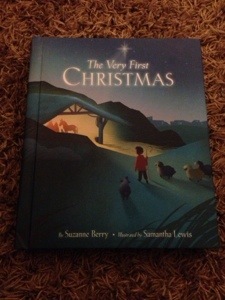 Tonight we read a special story about the Nativity that my dad recorded for the boys. We talked about Christ’s birth and how we celebrate that birth at Christmas time. And then it was cupcake time!